So for all of my blog friends and lovely readers, consider this your virtual announcement from our family! If postage wasn’t 49 cents a stamp (when did that happen? ), I’d totally mail you all one. 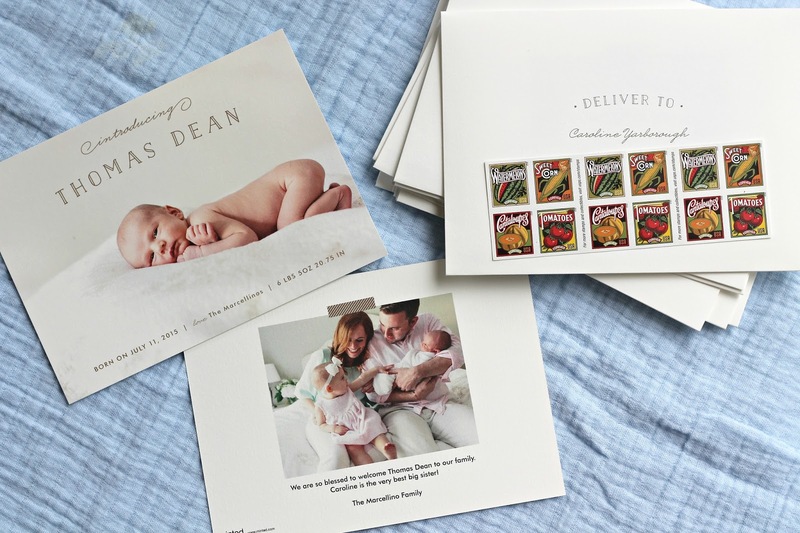 And because the folks at Minted are super amazing, they have offered one lucky reader $125 credit towards their birth announcements! Just enter using the rafflecopter below! Good luck! 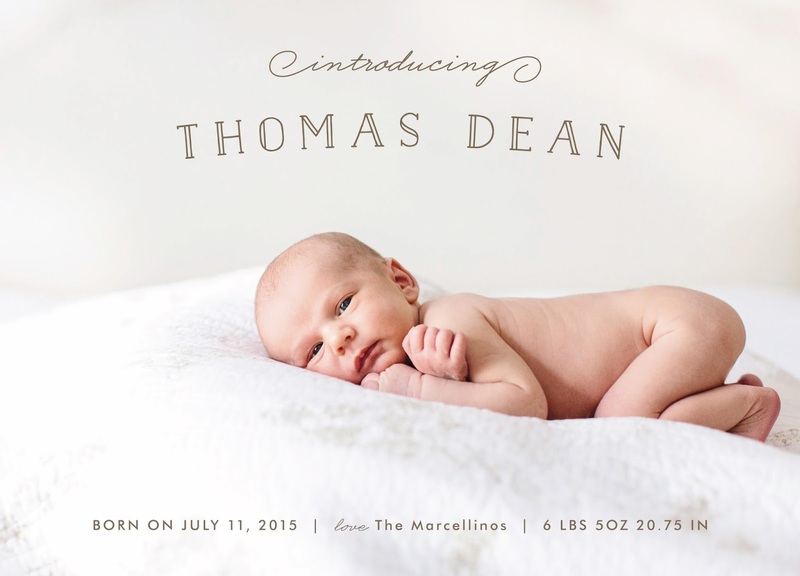 Thomas' announcement is adorable! Your family is beautiful! love how precious these are! these are perfect! excellent decision making friend! These are so cute!!! 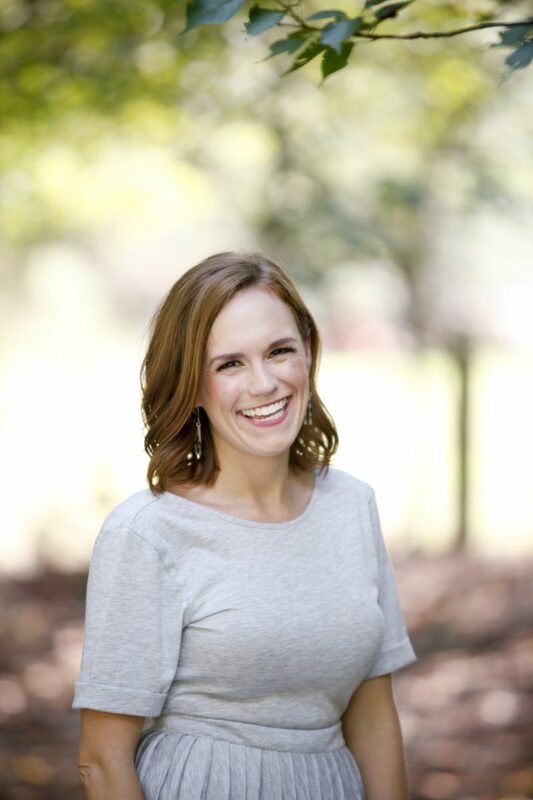 I loved Minted's announcements! !